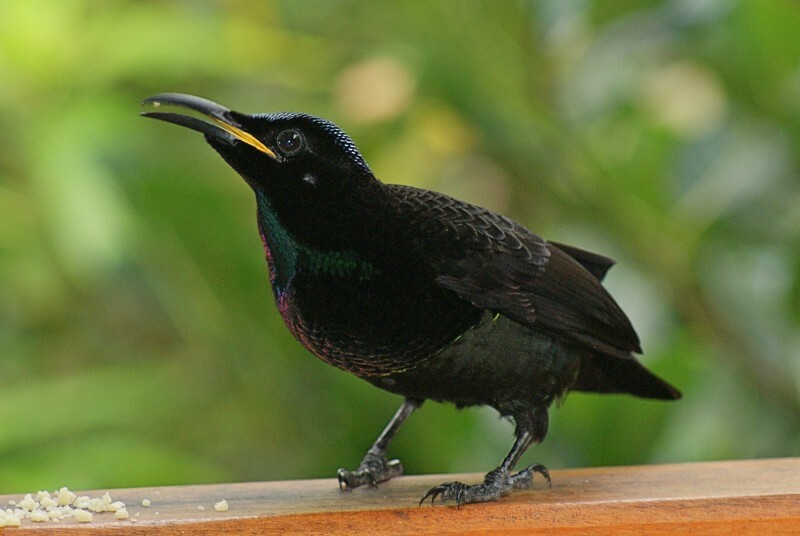 Victoria's Riflebird (named for Queen Victoria) is one of three riflebirds found in Australia and is endemic to the Atherton Tablelands area of tropical rainforest in north Queensland. Riflebirds are birds of paradise and engage in elaborate mating displays involving the male arching his wings and dancing to the female. 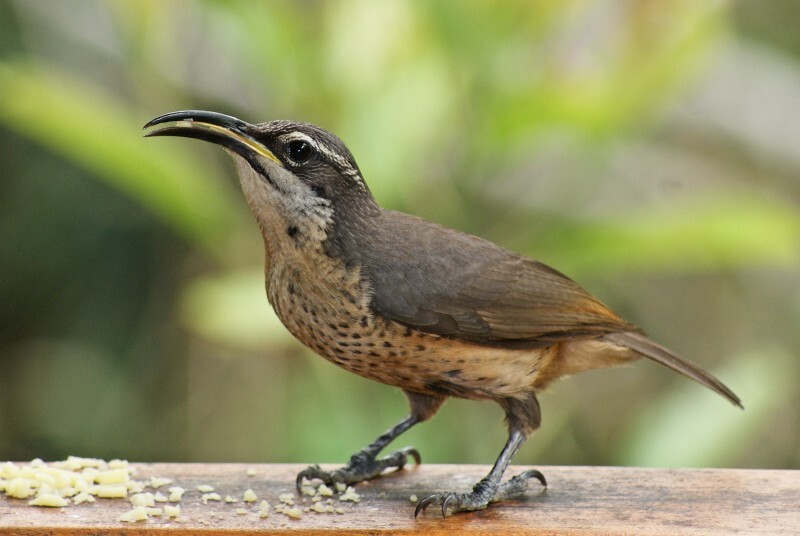 The male's call is a harsh sound, resembling a buzzing screech. The males are irredescent black while the females are shades of brown and grey. They are quite large birds at around 23 cm. 1-2: Cassowary House, Kuranda, Qld, 15/10/2011.